Engineers from Tokyo Electric held discussions with officials from the Japanese government on Monday where they communicated that they are running out of room to store contaminated debris at the crippled Fukushima Daiichi nuclear power plant. According to estimates provided by the engineers, more than 560,000 cubic meters of debris will be produced from decommissioning activities over the next 13 years. 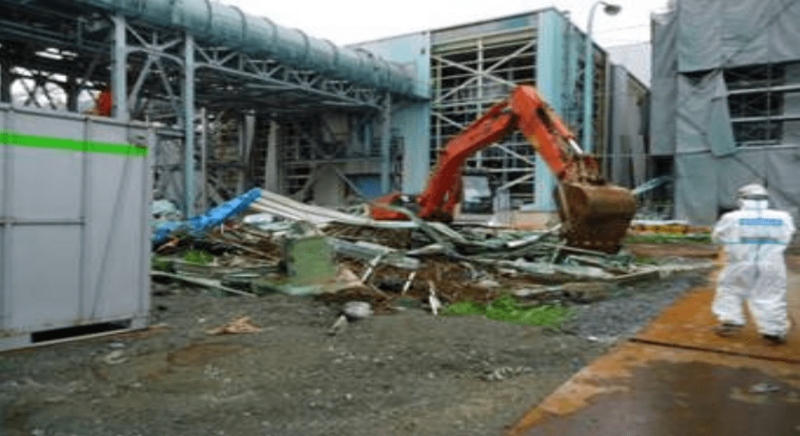 Tokyo Electric believes that they can reduce some 340,000 cubic meters of debris by burning wood debris and other combustible materials and crushing contaminated rubble to use to pave roads within the plant. The utility says that they can store 60,000 cubic meters in existing storage facilities at the plant, but will need to find at least 160,000 cubic meters of additional storage space.